As the National Elections Commission (NEC) clocks down polling centers at 6:00 prime meridian in both Bong and Montserrado Counties on Tuesday, July 31, 2018, voter’s turnout appeared all-time low. Reasons for the low turnout can be attributed to many factors but most of it all is ‘voter’s political fatigue’. 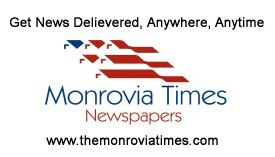 In a sampling view survey conducted by The Monrovia Times Tuesday, many attributed their unwillingness to vote to lack of interest in the country’s political system. They claimed, politicians nowadays are only interested in getting the votes from the masses and not seeking their interest when elected. They named 2005, 2011, 2014 and 2017 General and Presidential Elections as electoral processes that brought forth men and women into political power who later disregarded those who voted them and fronted for their personal interest. “My brother, I will tell you for free, if you have an election in this country for the next five days not many people will turn out, you know why? It is because our people are tired voting for people who are only interested in enriching themselves,” Eurias Women, 28, a resident of the Chicken Soup Factory intoned. “Most of these people only come around when they need your vote as soon as you give it to them, you will never see them around again until the next election year,” she added. “It is not because you voted someone in the past and they did not work in the country’s interest and you say you will not vote again. The best way to vet out the best leaders for our country is through the ballot box. And so I’m encouraging everyone especially those in Bong and Montserrado Counties to vote in the right person who will represent them at the Liberian Senate,” he accentuated. Meanwhile, up to the closure of polling centers in the two counties, ballots are still being tally by pool workers hired by the NEC. NEC in the coming days will make public results as to who is in the lead for the senatorial seats of both Montserrado and Bong Counties.